San Francisco, Personal information of over 100 million Quora users including their name, email address and encrypted passwords have been compromised, the California-based popular question-and-answer platform said. Whether you're working with a team or trying to keep your own independent projects in order, Trello provides an intuitive, yet feature-packed, system for organising ideas and tracking progress. Whether it's managing a team, writing an epic screenplay, or just making a grocery list, Trello is your valuable sidekick. It breaks your business down to a series of boards. Within each board, you can create multiple lists. And, inside each list, you can add any number of cards—individual items that contain text, photos, files and so on. You can label and colour-code cards and assign due dates and you (and anyone else you invite) can comment on cards to add in thoughts and updates. A great collaboration tool. Start free and upgrade to a paid plan as per your needs. Great app for implementing the Kanban principle. 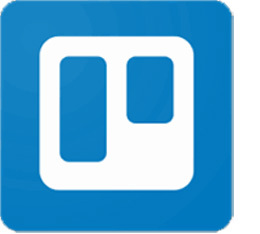 There are many other apps like this though, and that are free, but Trello execution is fantastic for a free product. I’ve been using it for a few years. After customers in the US sued global hotel chain Marriott for exposing their data with one class-action lawsuit seeking $12.5 billion in damages, cyber security experts on Monday asked nearly 500 million affected customers globally to change passwords and take other precautions. "While plaintiffs in the Maryland lawsuit didn't specify the amount of damages they were seeking from Marriott, the plaintiffs in the Oregon lawsuit want $12.5 billion in costs and losses," said the report. "While we're still only beginning to assess the true extent of the attack, ultimately, the security solutions the Starwood Hotels and Marriott Group had in place clearly weren't sufficient enough if it allowed an unauthorised third party to get into the system," said David Emm, Principal Security Researcher at Kaspersky Lab. "The data was encrypted, but the attackers potentially stole the keys too - highlighting that an extra layer of security should have been in place to prevent this from happening. This data breach is now one of the most critical data breaches in history," Emm said in a statement. According to John Shier, Senior Security Advisor, Sophos, the potential fallout from the Marriott's Starwood data breach should be alarming to anyone who has stayed at a Starwood property in the last four years. "Not only are guests at risk for opportunistic phishing attacks, but targeted phishing emails are almost certain, as well as phone scams and potential financial fraud," said Shier. "At this point, however, it's unclear what level of exposure each individual victim has been subject to. Until then, all potential victims should assume the worst and take all necessary precautions to protect themselves from all manner of scams," said Sophos.